The establishment has been open for more than thirty years, celebrating medieval festivals around a huge open fireplace and underneath enormous chandeliers. 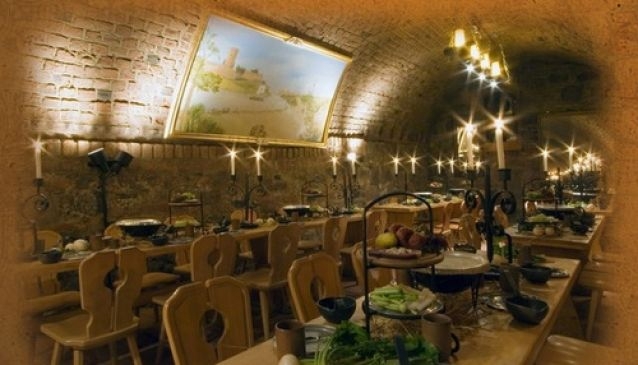 They offer a seven course medieval menu which is cooked and served by staff who are appropriately dressed for the era. The meals themselves have a rustic feel to them, with homemade bread served from a wooden board, pot roast and spiced meats served from large cauldrons, and delicious desserts served from ornate trays with iron ladles. Guests will be treated to minstrels, jugglers, ballad singers, witches and heralds - making your visit to the impressive grounds of the Zitadellen Schänke a truly unforgettable experience.